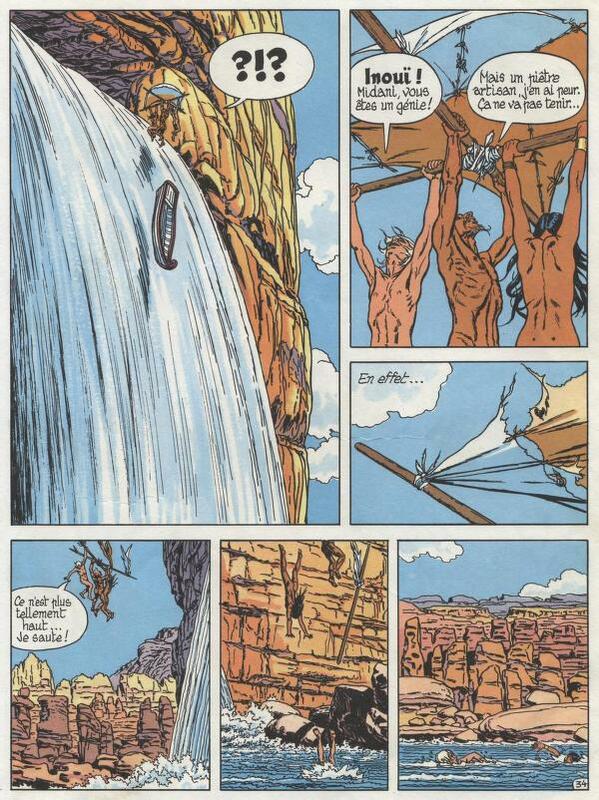 The art style had a "ligne clare" realistic style, Franco-Belgian, similar to Jacques Martin's Alix. The story was set in the Arabian or Sahara desert. One of the boys was blond and fair-skinned. The other two were brown skinned and looked Arabian or Indian. One of them was a girl. The antagonist was a snake man with a cobra head and magical or telepathic powers. In the final moments of the adventure, the blond boy, the Arab girl, and a wise old man flee aboard an improvised raft through an underground river and discover that they are going to fall through a very high waterfall. The wise old man takes all their clothes off and, with the fabric and the sticks from the raft, makes a parachute in a hurry. I remember very well the images of the naked girl in those last pages. I was very impressed, I didn't know why. It was in a Spanish magazine published by Bruguera, maybe Mortadelo or Zipi y Zape. It was part of a series, from the 1960s/70s, and was Franco-Belgian. This is from the French/Belgian series Corentin by Paul Cuvelier. 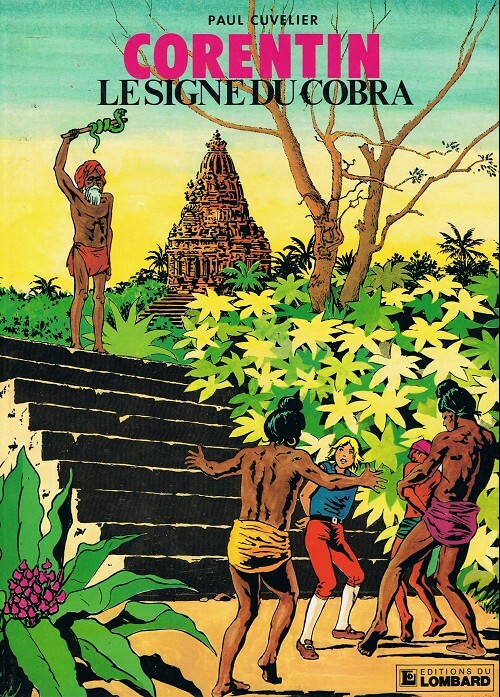 I recognized the series from your description and found the volume with the snake-man, Le Signe de Cobra. The scene with the parachute and the naked girl is however from another volume, Le Royaume des Eaux Noires (see page at bottom). You can read the first 8 volumes online. Le Signe du Cobra is #4, and Le Royaume des Eaux Noires is #7.